Because it dreamed her up, of course. LONDON: Did you know you can take an ordinary, unsalted rice cake to the next level simply by placing it on or near a Scandinavian serving board? Or that "tofu" is short for "totes fun?" These over-the-top tips are courtesy of foodie blogger Figgy Poppleton-Rice, who proffers clean eating advice on her own blog, along with her Instagram and Twitter pages. Poppleton-Rice is actually a work of fiction, created by KFC U.K. and Ireland to promote the fast-food chain’s new burger, The Dirty Louisiana, available until March 26. The concept for Poppleton-Rice was born out of social listening, explained Jack Foley, brand manager, KFC U.K. and Ireland. For inspiration, the campaign team looked at various food blogs with an aim to play up blogger stereotypes. Freuds and BBH London are assisting with this campaign. "In the U.K., food is becoming a lot more moralistic," he said. "We saw in January that eight out of the 10 top-selling books on Amazon were about clean eating." Planning for the campaign, which aims to raise awareness and drive sales for the product, began six months ago. Over the past month, there has been consumer fatigue around the clean eating trend in the U.K., noted Foley. "Our whole positioning around this was challenging that joylessness of clean eating that we’ve noticed through social listening and covered as a hot topic in the press," he said. Last Thursday, the chain published a teaser post on Facebook introducing the KFC Clean Eating Burger, made from a chia-seeded cauliflower bun, unsweetened almond yogurt, ice cube relish, spiralized chicken breast, and 100% British kale. It has garnered 4.8 million views, nearly 16,000 shares, and 53,000 comments. "We wanted to have five days where people were like, ‘What is going on?’" said Foley. The big reveal came Monday, with a two-minute video featuring Poppleton-Rice showing fans how to make the burger. It ends with a sign crashing down on her and a Southern voiceover stating, "Nothing satisfies like the Dirty Louisiana. It’s finger-licking good." The video has amassed more than 7 million views, 54,000 likes, and 31,000 shares. A shorter version of the reveal is on YouTube, where it has received more than 175,000 views. KFC has retargeted consumers on social who interacted with the tease post to show them the full video. It also sent out a statement poking fun at the clean eating trend by explaining that the Dirty Louisiana has been tested on "an unrepresentative amount of paid consumers and found to have incredible powers to help make skin glow and hair grow…maybe not!" The release adds: "While it might not actually have incredible superfood powers, it tastes loads better." 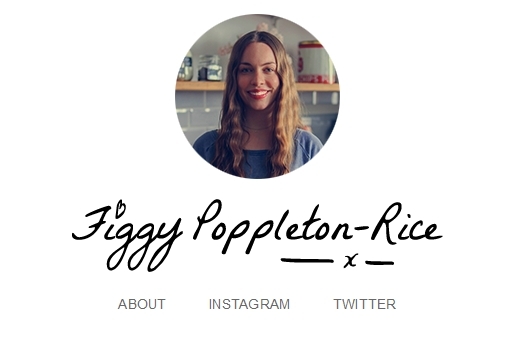 The food chain hasn’t had any issues with people who don’t get the joke or think that Poppleton-Rice is real, although her own blog, Instagram, and Twitter pages are not KFC-branded. "We haven’t received backlash from anyone," said Foley. "People find it hilarious or wonder what is going on and are tagging friends." Poppleton-Rice is not engaging with consumers on social, apart from retweets on Twitter, said Foley. "The majority of [consumer] interaction with the campaign has been via our social media channels," said Foley. "[Poppleton-Rice] hasn’t got the biggest following, because we created her and she is new to the social media world, so the majority of the conversation is being driven by KFC because we have the reach." The campaign has reached 20 million across social, said Foley, who noted that overall consumer sentiment has been positive, based on monitoring comments. KFC trended on Facebook and Twitter Moments when the campaign launched in the U.K. The effort has also reached a global audience, with at least 50 pieces of coverage globally at different news outlets, Foley said. Publications including Business Insider, Men’s Health, Mashable, and Yahoo! News have covered the news. "This shows, from a Facebook perspective, when you have a piece of content that taps into what consumers are talking about and is funny and engaging, you can get a huge amount of organic reach," he said. "You can reach people without putting media behind it as well."